Here we come up with creative scenarios and then, we test the application based on creative scenarios. we perform ad-hoc Testing when Regular types of testing are not Fetching You Any more Defects. Here we come up with creative scenarios and then, we test the application based on creative scenarios. 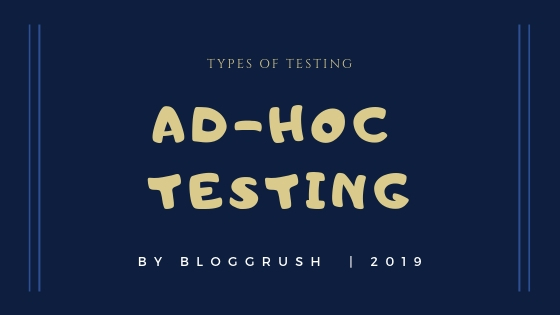 In Adhoc testing, we never follow the Requirement. But then we should know the application to come up with creative scenarios. For the first time when the request is sent to the server, Server will validate username and Password. If it is valid then Server will generate a Session ID. one copy of the session ID will be Maintained in the Server Site. And another ID of session ID will be sent back to the Browser. which will be Further stored inside Cookies Files of the Browser. Every Subsequent request main from the Browser along with the request session ID will be picked up from Cookies file and will be sent to the server. The server will Validate the Session ID. If the match happens then, Server will send the Response Back. Finally when the Log Out Is Requested. A request is made to the Server to delete session ID. And the server will no longer Serve the response. Session time out is a Timer which We (Developer) set at the server site, wherein if there no request is Sent within the time out then, Session will Automatically Expire. and it will redirect to the Login Page. Example 1- Login to the Application and Leave the Application ideal for a Particular period of Time. after some Time When you interact with the Application, it should Take you back to the login page, if this Doesn't happen then, it means Developer has not Set the Session Time out. Example 2- Login to the Application, click on Log out. And then Click on Back Button, Application Should no go back to the previous page. If this happens then ideally it is A Defect. Example 3- Login to the Application, And then without logging out close the Browser, When again started the application, even if Restored the pages from history It should Display Log in Page, not the Post log in page. If it Displays Post log in page, then ideally it is A Defect. 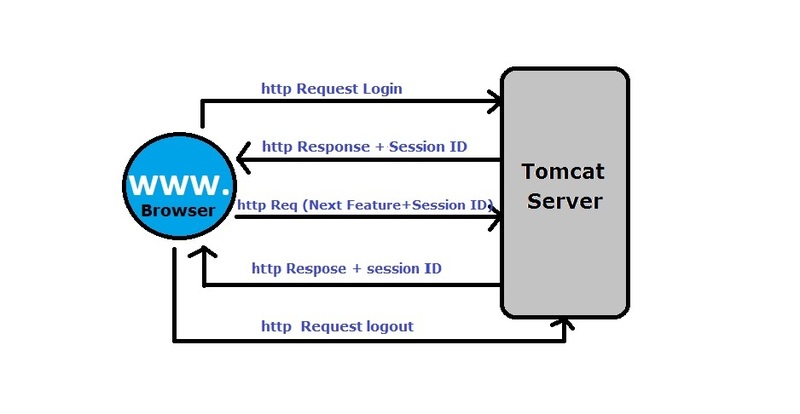 Tomcat is a Web server which is an HTTP Server and a Servlet Container. And All the Http Server uses 8080 Default Port Number. If wants to make Dynamic Website, will need Servlets. note- Apache Tomcat is a Free to Download. Want to know More types of Testing?